Using intuitive skills given to us by the Spirits, we have Blessed abilities to help those in need! We can and will help! Answer those nagging questions with confidence and serenity! Brightest Blessings to All!! Amazing will def be back!! Thank you I like that she read my mind quickly and actually knew what I been thinking very good one of my new favorites!! Brightest of Blessings and welcome to Ravenredwoman's site!! I am a natural born medium. I am here because I have been Spiritually inspired to offer services outside the traditional normal. I have developed my skills due to many. I am an ordained minister and have devoted my life to workings in the Spirit. It is difficult to explain what happens in a session but I will be as specific as possible. A "gathering" of both your Spiritual counterparts as well as my own come together and "download" information from Spirit realm that is important to you. As I unravel this download of spirit information I as the medium do my best to decipher and pass it onto you without judgment. I will never give a "cold read" and it is very rare that I cannot read for a person. I have a deep passion for what I do and work many hours to keep my "link" to Spirits untainted. I thank you so very much for your time and considerations. There is great love and light for you here. Many brightest of blessings to you on your life's journey.- Ravenredwoman MY PERSONAL SPIRITUAL CODE OF CONDUCT. I always try my very best to treat my cherished clients with the utmost respect, professionalism, courtesy, compassion and understanding. I uphold the highest level of ethics, honesty and integrity. I do my very best of give my cherished client the most accurate and detailed readings they will find anywhere so that they receive MORE than their money�s worth. I take great pride in offering you the most gifted, accurate, caring, ethical and honest reading at a reasonable rate than you will find anywhere. I thank you wholeheartedly for your support, loyalty and continued patronage. ~Information received in session is for enlightenment purposes only. You have free will to manifest what you wish in life. Ravenredwoman has been a user of Keen since 2004. 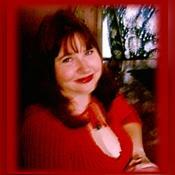 Getting Psychic Mediums advice from Ravenredwoman through www.keen.com is safe, secure and confidential.